Flourishing is synonymous with thriving! It is defined as "developing rapidly and successfully". As a human being, flourishing is your natural birthright, meaning it's within the natural capacity of your body/mind to live in a state of flourishing. Flourishing with EFT is for people who are doing okay in life but sense something is missing. Things in your life may good enough, or at least as good as the other people around you. And yet, something inside of you longs for more. The feeling of longing is often a sign that some part of you knows life could be different. Your life could be more congruent with who you know yourself to be. Positive Psychology is the study of what supports people in living happy, fulfilled and meaningful lives, and what supports people in flourishing. Scientific studies have demonstrated a number of things that make people happy and able to flourish. I imagine you already know at least some of them. Maybe you are able to make some of them work in your life but others seem out of reach. 7. Living with a positive mindset: optimism, mindfulness and gratitude. If you long to live a life that is happier, more fulfilled and meaningful, EFT sessions can offer a place to explore what this would mean for you and to connect with the places in you that are currently unable to open to the way of being you know you are capable of. Initially, negative emotions are often a healthy, natural response to difficult or hurtful life events. However, when we create beliefs about life based on these emotional reactions to negative events, and hang onto or relive the emotion long after the event is over, this can lead to physical, emotional, mental, or spiritual discomfort, restriction or even pain. These negative emotions, beliefs and life event memories are held in place by blocked energy. Emotional Freedom Technique (EFT) can help you to flourish in your life by allowing your energy to flow, freeing you from habitual and destructive negative emotions, thoughts, beliefs and life events. EFT involves gently tapping on points which are located on the same energy meridians used in acupuncture. These points are located on the face and hands, and collarbones. As we tap on the points it clears energy blocks from the body by stimulating the meridians. It is a safe, gentle and effective therapy. I provide a safe, attuned, and comfortable environment, as I support and guide you to explore the ways in which you want to flourish. I also help you to get very specific about what is at the root of your blocked energy and we tap on that. As we work I will teach you how to do this and work with you as you tap on your own points. Increasing numbers of scientific studies have been completed where therapists use EFT protocols with clients suffering from anxiety, depression, PTSD, weight issues, phobias and more. These studies are demonstrating EFT to be an extremely effective, evidence-based therapy. To find out more about the EFT scientific research, clinical papers, outcome studies, and more go to https://www.eftuniverse.com/research-studies/eft-research . Alexandra is also trained in a variety of additional psychotherapy approaches and therapeutic modalities that help to inform the inner world. For more information on other therapeutic modalities click here. 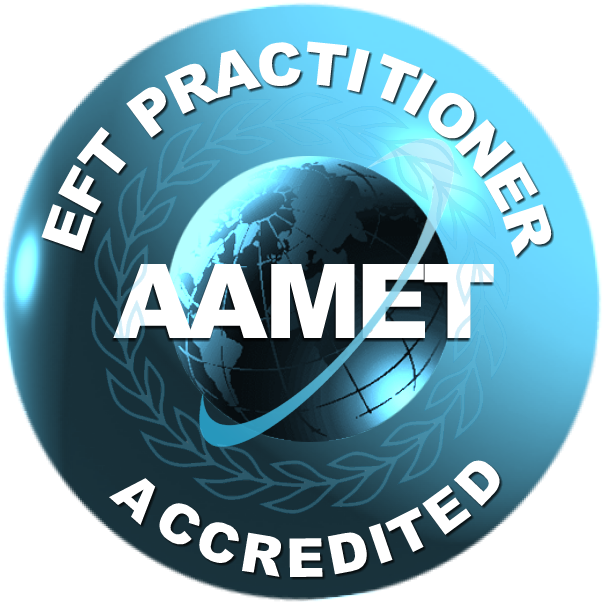 Alexandra is an accredited EFT practitioner and a member of AAMET International (https://aametinternational.org/). She is also a psychotherapist registered with the College of Registered Psychotherapists of Ontario (CRPO). To find out if your insurance covers these sessions ask your provider if they cover Registered Psychotherapists. If you have specific questions about "Flourishing with EFT" sessions and how they might be useful for you, please call or email Alexandra.